I’ve got a super easy and amazingly delicious recipe for you today that’s the perfect snack or side for your summer barbecues! These Pimiento Cheese Deviled Eggs are even more delicious than they are easy, honestly. Using Price*s Southern Style Pimiento Cheese Spread makes them a snap! 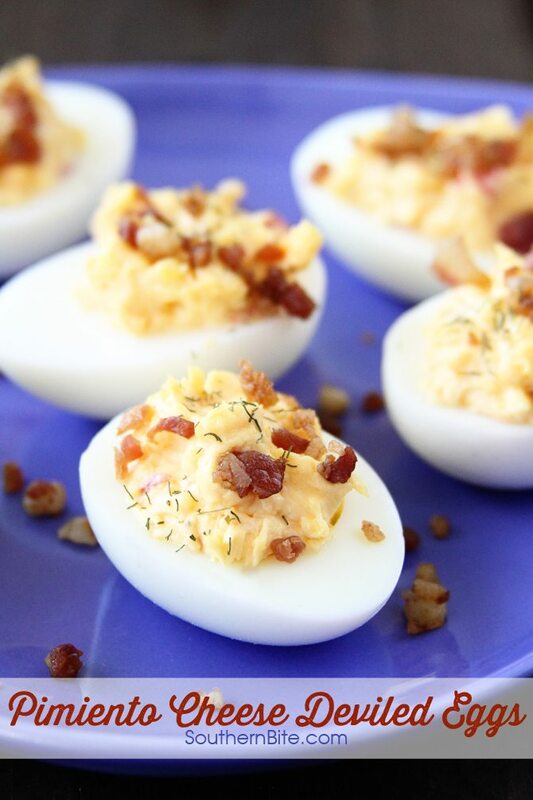 Think traditional deviled eggs infused with all the flavor of tangy pimiento cheese. 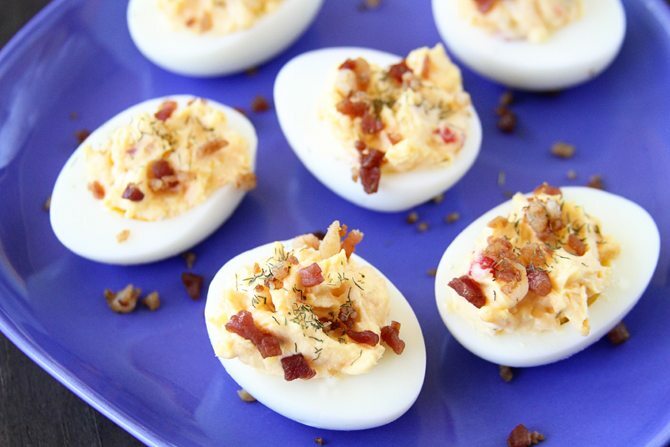 If you love deviled eggs, you’ve just got to try them. I’ve toyed around with a dozen different ways to make the perfect hard boiled eggs that are easily peelable and found Alton Brown’s pressure cooker method to be the most reliable for me. It’s also a great way to cook a bunch of them at one time. Feel free to use whatever method suits your fancy to get them boiled. I’m just here to help you make them delicious! Growing up, my mom always made deviled eggs for my dad and me despite the fact that she wasn’t a big fan. But I’m pretty particular when it comes to deviled eggs – mayo, a little mustard, and dill relish. I don’t like them sweet at all and don’t really care for them dusted with paprika. I know, that’s like the epitome of Southern deviled eggs right? Despite my peculiarities, when the idea came to add some pimiento cheese and I knew I’d be on board with the savory combo. Sure enough, these things are the bomb. Grab a tub of Price*s Southern Style Pimiento Cheese Spread and try them for yourself! Peel and slice the eggs lengthwise. Place the yolks in a medium bowl and set the whites aside. With a fork, blend the yolks with the mayo until smooth. Stir in the pimiento cheese spread and mix well. Add salt to taste. Spoon the mixture evenly back into the egg whites and sprinkle with crumbled bacon and dried dill, if you wish. This post is sponsored by Price*s Pimiento Cheese Spread, but the thoughts and opinions herein are all my own – just as always. 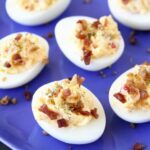 My husband loves Pimento cheese and he loves deviled eggs so I will have to try this recipe this weekend! I sure hope he’ll enjoy it as much as we do! These sound delicious. Can’t wait to try them! Thanks! Hope y’all enjoy them!! I hate that, Joyce. Hopefully you can find something else you like. 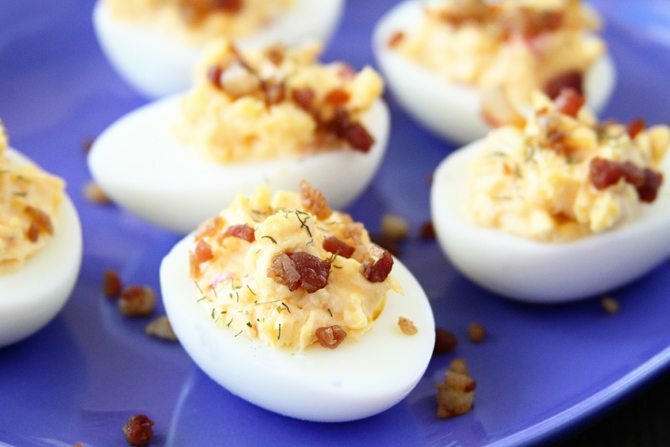 This sounds awesome as I love deviled eggs and pimento cheese. I haven’t found Price’s Pimento Cheese where I live but I love Palmetto Pimento Cheese or else I make my own so I can control the mayo content. Will definitely have to try this but will add dill relish also. 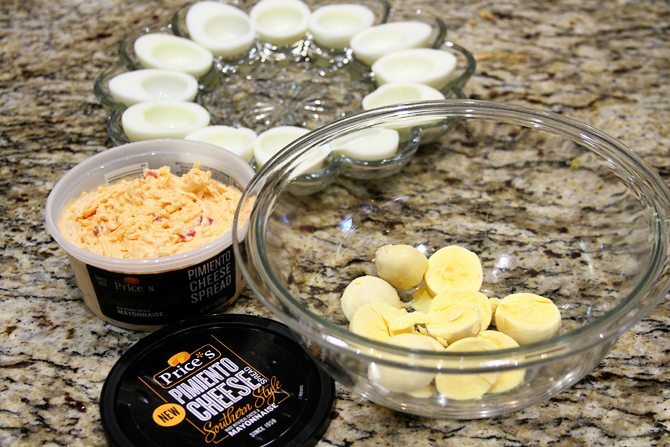 My hubby and I love Pimento cheese and deviled eggs! I cannot wait to try this recipe. This one is so good. I sure hope y’all will enjoy!! So, I’m visiting a friend in Louisville this week, and we decided to make our own pimento cheese. We used your buddy’s recipe from The Country Cook; however, we decided to use white sharp cheddar and jalapeno. MAN IS IT GOOD!!! We are headed over to her brother’s house this Saturday for dinner. We are going to take these deviled eggs for an appetizer. I will check back in this next week on the success of the DE’s. Sounds great! Hope they love these! These look so good. Can’t wait to try this recipe. I sure hope you’ll love them, Liz! I don’t like pimento cheese recipes other than my own. 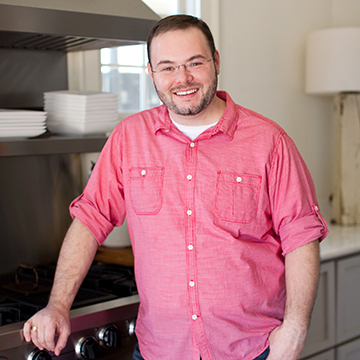 So, I will use this recipe but use my own pimento cheese. Looks and reads to be tastey but probably will add more mayonnaise. Thanks. 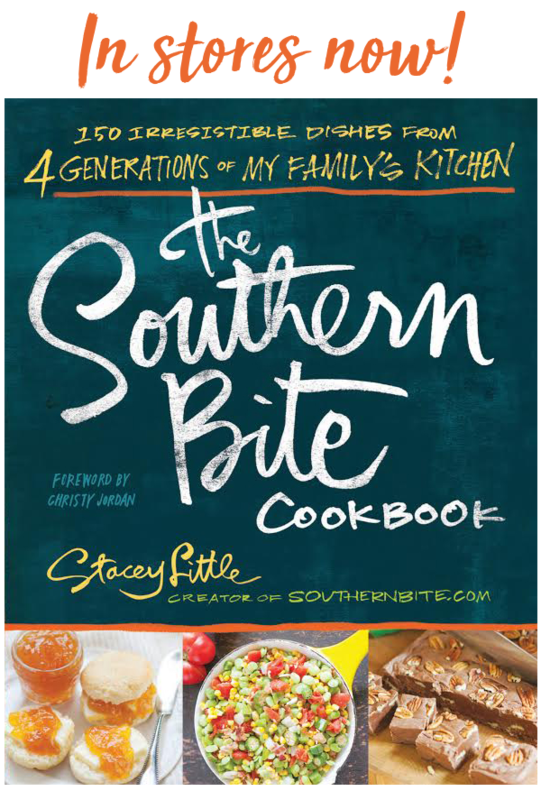 Sounds like a good simple version of a recipe I’ve been wanting to try, to combine two of my favorite southern picnic foods into one dish. I’ve been experimenting with different fillings for deviled eggs recently, most successful one was a concoction of my own design that had the yolks from hardboiled eggs, mayo, lump crab meat, chopped scallions, and Old Bay seasoning. That was after trying the same recipe with chopped shrimp instead of crab, and wasn’t all that interesting. Also tried an Ina Garten recipe for smoked salmon deviled eggs that wasn’t as good as I wanted it to be. I don’t mind sweet relish in a traditional hard boiled egg, provides a nice contrast to the sharpness of the mustard, but agree with you on paprika, I never understood the point, and my mother never put it on hers. The other big issue on traditional deviled eggs is smooth or chunky. I like chunky, smooth is offputting to me, but that’s a matter of preference, I guess. Those crab ones sound amazing! !